Motorparks presents you with an incredibly diverse selection of new SEAT Leon cars, and all at astonishing prices you will find hard to believe. 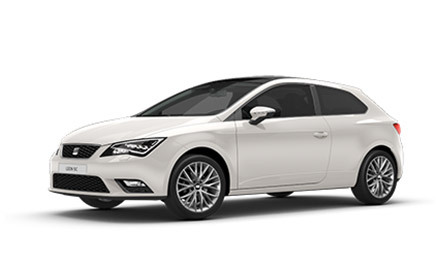 The winner of the Car of the Year 2013 prize at the Auto Express New Car Awards, you have plenty of choice when picking out your ideal SEAT Leon. Beauty and agility are two standout features of the new SEAT Leon SC, while the new SEAT Leon 5DR is designed in a way to make entry to this phenomenal car oh so easy. Meanwhile, the new SEAT Leon ST blends both accessibility and an eye-catching design together to create an exceptional estate car. Have a browse through all of our new SEAT Leon cars for sale and enquire about the one you would like to see on your driveway online today. Don’t forget that Motorparks stocks a huge collection of used SEAT Leon cars too, in both traditional and modern designs.